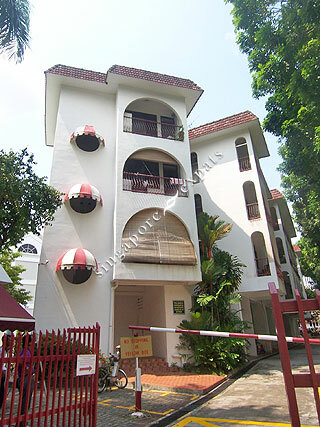 Jervois Grove is a freehold development located along Jervois Road off River Valley Road in District 10 of Singapore. The popular Jervois residential area is surrounded by lush greenery and quiet tranquillity. Jervois Grove is near to eateries and amenities like the Valley Point, Great World City, Redhill Food Centre, Starbucks Coffee, Redhill Market, Dawson Place and NTUC Fairprice supermarket. Educational institutions like Crescent Girls' School and New York University Tisch School of The Arts are located near to Jervois Grove too. Jervois Grove is accessible by public transport such as taxies and buses and is about 5-minute drive to Orchard Road, Central Business District (CBD) and major expressways like the Ayer Rajah Expressway (AYE) and Central Expressway (CTE). The nearest MRT stations are Redhill MRT Station and Tiong Bahru MRT Station. Excellent choice. It is exclusive and quiet yet with so close Orchard and CBD.